I was in line at the smoothie stand at market on Tuesday waiting for my mango-strawberry-coconut-OJ smoothie to cool me down in the 100 degree heat. 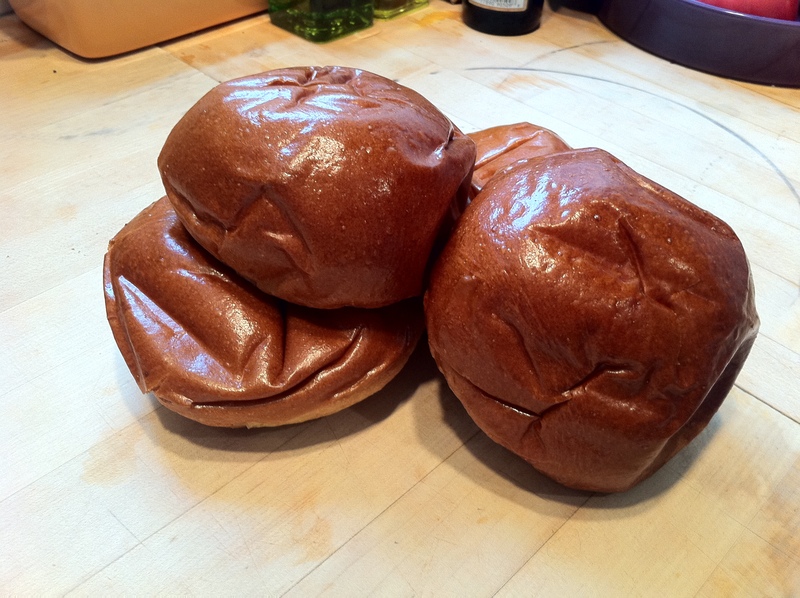 I looked up and saw them…a whole dozen…sitting on top of the bread display next to the cooler full of juice…with a little sign that read “brioche buns, Le Bus bakery”… I could not believe it! The Lancaster Juice Company also gets Le Bus bakery products to sell at their stand, I knew this, but I did not know they ever got the brioche buns! Oh happy day! They were mine, and they freeze well… so I bought the whole dozen. Soft inside, golden and shiny on the outside. All those summers of trying to create a burger good enough to submit into the Build a Better Burger contest… I finally have the bun. I hope I can create a burger worthy enough. 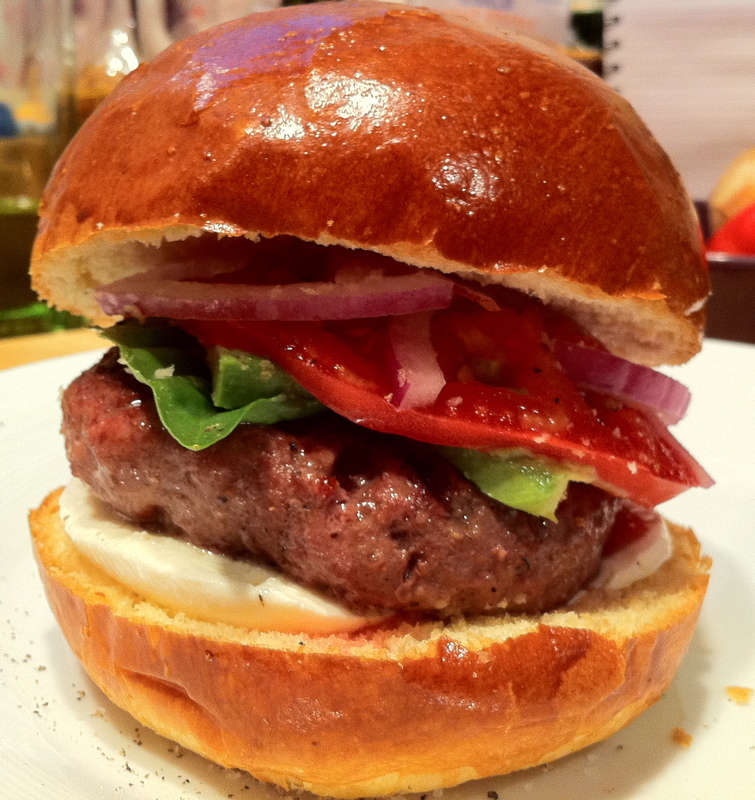 I’ve started my burger testing yesterday with a simple idea that I hope is a winning combination. I also added some green meanie dressing, because I can’t resist putting condiments on grilled food. It was good and it made it a little more moist. The tomato was nice and juicy but the dressing made it great.